Engagements sessions are a great way to get to know your photographer. When you have the chance to work together before your wedding day it builds confidence. You are more likely to feel relaxed and comfortable being in front of the camera. 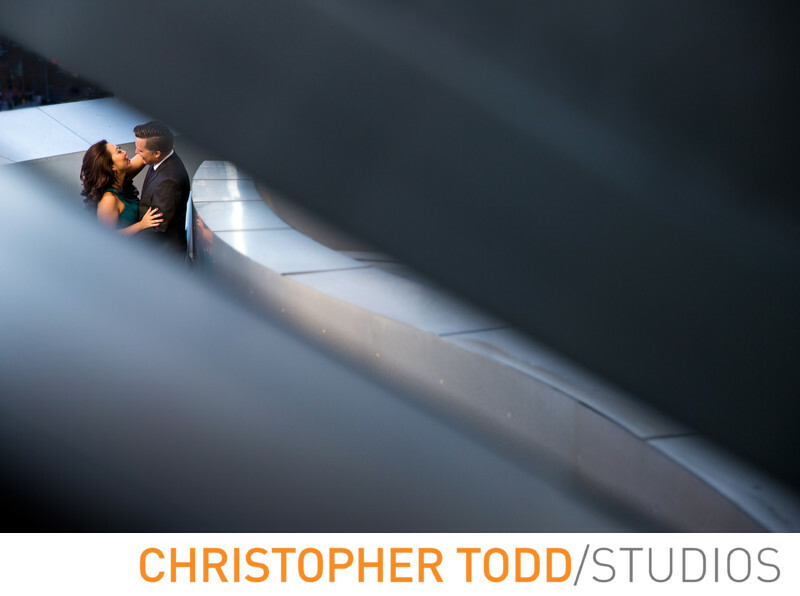 This portrait was taken at the Walt Disney Concert Hall in Downtown Los Angeles. There are so many unique angles that can be taken here. This is one of my favorites from this e-session. 1/400; f/4.0; ISO 200; 70.0 mm.